Home Gossip Al Capone’s Miami Beach Waterfront Mansion Listed for $15 Million! 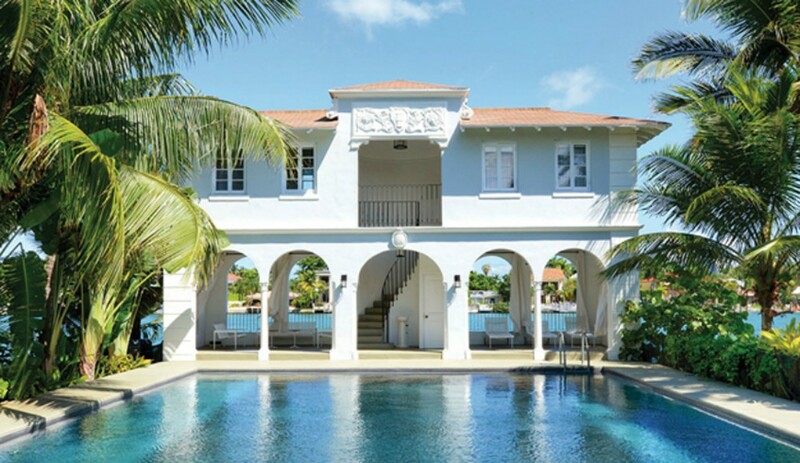 Al Capone’s Miami Beach Waterfront Mansion Listed for $15 Million! The sprawling Miami Beach home of infamous gangster Al Capone has appeared on the market, listed for a whopping $15 million. Capone, of course, is mainly known as a key Chicago organized crime figure in the 1920s, but he spent a great deal of time at his Miami retreat as well. Capone purchased the Palm Island compound in 1928 (6 years after it was constructed) for a mere $40,000, a shockingly small price tag when assessed against the amount the property commands today. The 30,000 square foot estate is situated on a private beach with views of both the Miami skyline and Biscayne Bay. Included are a 4-bedroom villa, a 2-bedroom guest house and a 2-level pool cabana. Capone—who used the luxurious residence not just to relax but also to plot with confederates—adapted 93 Palm Avenue to his lifestyle, turning the guest quarters instead into a guardhouse. He also put in a set of gates, a 7-foot-tall perimeter wall and even searchlights to secure the property.